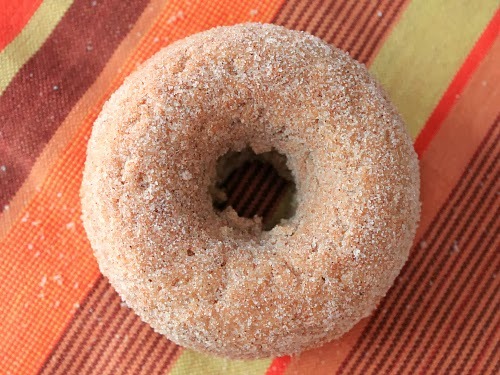 there's just something about apple cider doughnuts in the fall. they are so good. 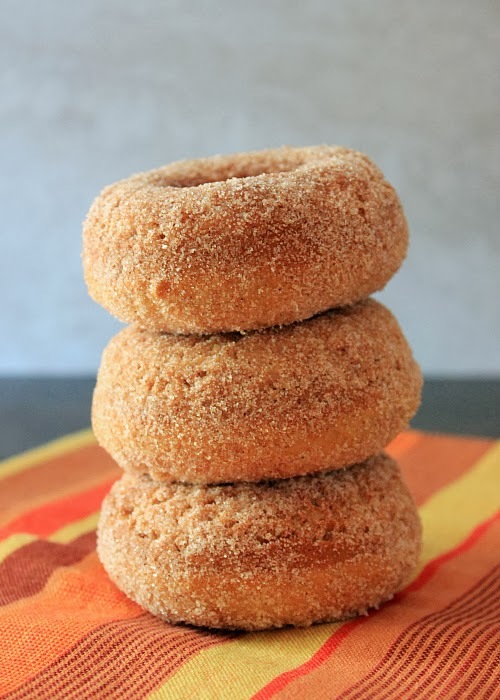 since i had some fresh apple cider from a local orchard in the refrigerator, i wanted to make apple cider doughnuts. instead of making traditional fried apple cider doughnuts, i decided to make baked doughnuts. these baked doughnuts are super cakey and moist. the apple cider flavor is subtle, but the spices really stand out. 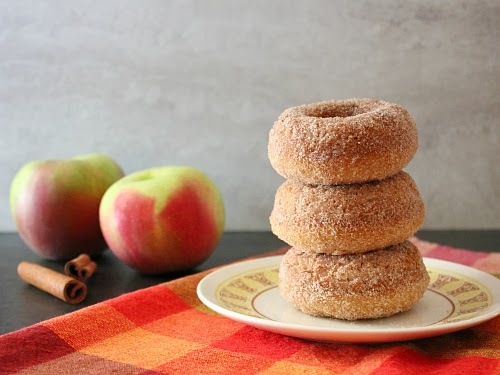 a perfect fall treat! preheat your oven to 350 degrees F. in a small saucepan, over medium-low heat, boil the apple cider until it is reduced (about 7-8 minutes). in a large mixing bowl, beat together the butter and sugars. add the egg and mix well. stir in the buttermilk and the reduced apple cider. in a separate bowl, sift together the dry ingredients. gradually add the dry ingredients to the batter, mixing until combined. pour the batter (approximately 3 tablespoons of batter for each doughnut) into the molds of a greased and floured doughnut pan. bake for 12 minutes, or until a toothpick inserted into the center of one of the doughnuts comes out clean. once baked, allow the doughnuts to cool in the pan for 10 minutes, then carefully remove them from the pan and allow them to cool completely on a wire cooling rack. once the doughnuts have cooled, melt 3 tablespoons of butter. in a separate bowl, combine the sugar and cinnamon. using a pastry brush, brush the melted butter on the doughnuts. dip and roll the doughnuts in the cinnamon sugar mixture, making sure to evenly coat all sides. These look delicious! I can't wait to pick some up from our local orchard, but I may have to try yours in the meantime. If I increase the apple cider (to add more than a "subtle" flavor) do you think they would turn out?